Android: If you’ve upgraded to Android Pie, you’ve likely found a host of new features on your device, as well as some new visual changes. One of the coolest changes is the ability to change the look, colour and layout of the quick settings and notification display menu. It’s a neat addition that Pie brings with it, but the key to having this feature is updating your device to run Android Pie. And since Android Pie hasn’t rolled out for everyone yet, it’s possible you don’t have access to the new quick settings and notification features. But that doesn’t mean you can’t find other ways to achieve the same effect even if you’re running an older version of Android. It’s a pretty easy solution, too — all you’ll need to do is simply download an app from the Google Play Store, then configure some settings once it’s installed. 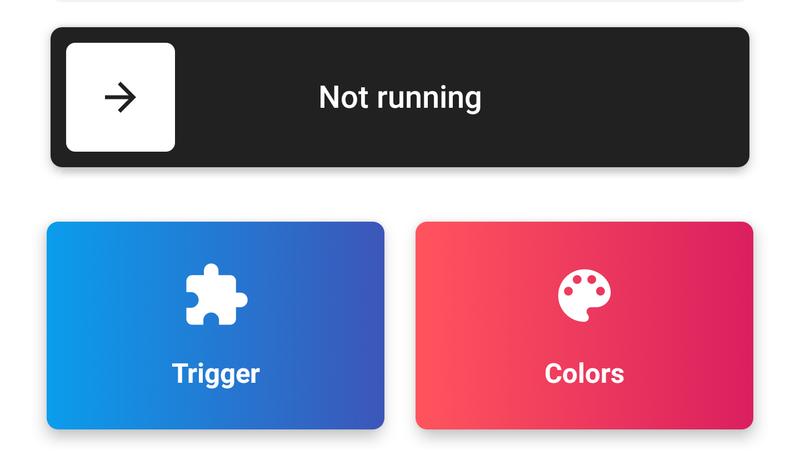 The app, Power Shade, is designed to specifically emulate the look and feel of Anroid Pie’s quick settings interface, and comes packed with plenty of options for changing the the look and layout just like you can on Android Pie. In our experience, the app looks excellent, and is incredibly easy to use despite the depth of options available. Here’s how to download and set it up. 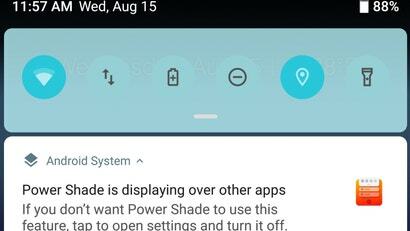 To begin, open the Google Play Store on your device and search for Power Shade (or better, yet, open Power Shade’s store page here). Tap the install button to begin the download. Once you’ve downloaded and installed the app, you may notice that there is an option to upgrade to the Pro version via an in-app purchase for $US4.95 ($7). The main difference between the free and Pro versions is the level of customisation available to the user. The good news is that the free version will achieve the visual effects we’re going for without you having to shell out any cash. That doesn’t invalidate the Pro version, however. 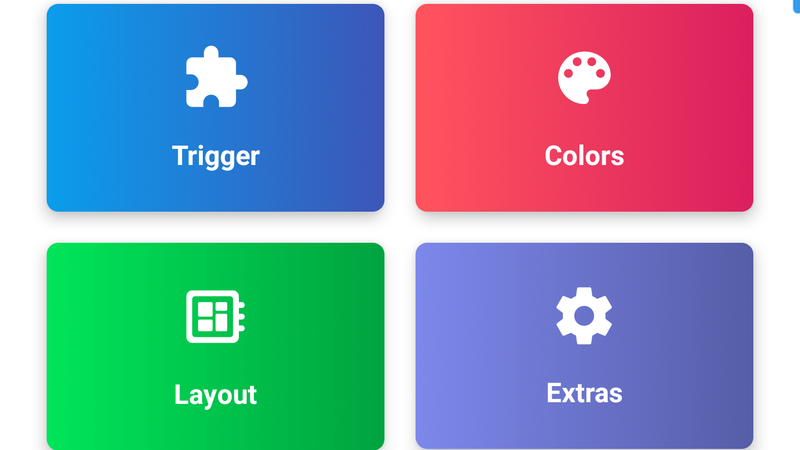 In fact, it may be worth spending the few bucks on it if you’re looking for more finite customisation, such as adjusting transparency level or gaining access to more layout options. 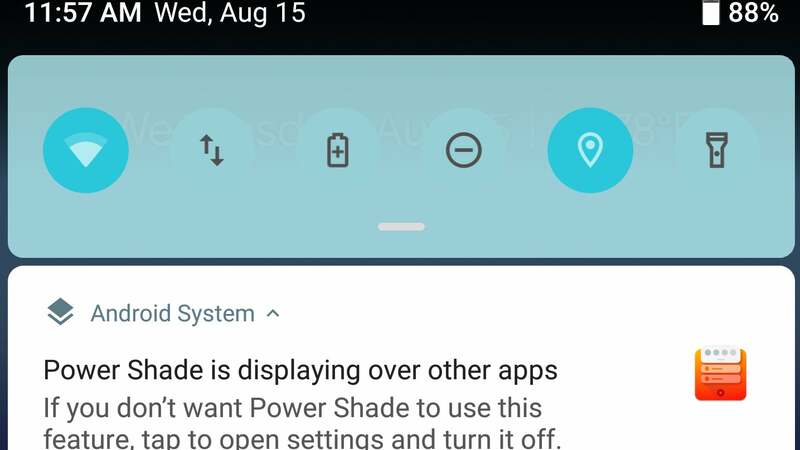 The next step is to enable Power Shade on your device. To do this, open the app, and the first screen you see will be a simple menu with the option to turn on Power Shade. By default, the app is set to “Not running”. To enable, simply tap the small slider icon next to this option. After the app is running, you’ll need to change its permissions. In order for the app to work, it will need to have permissions given to access the Write, Draw, Notifications and Accessibility functions. The last step is to customise the app’s settings to your liking. There are four different menus — Triggers, Colors, Layout and Extras — which have options for you to adjust the app and the notification effects to your liking. Bear in mind that some of the more advanced options will require an upgrade to the pro version. Once you have everything tweaked to suite your desired look and feel, your phone should now look like its running Android Pie.